The tracked chassis of the spiderlift access platform is used to spread the load of the machine over a larger floor area than with wheels. 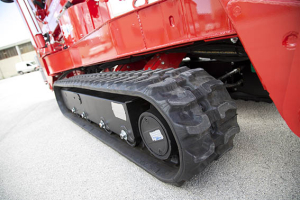 This has the effect of reducing the ground bearing pressure, allowing the tracked spider lift to drive on delicate floors such as timber or tile, whilst also enhancing traction on soft or boggy ground such as mud or sand. The track drive undercarriage can be specified with a fixed track width or extendable via hydraulic power. The Tracked Spider lift can also be specified with black or non marking tracks. The latter enable the spiderlift to travel on delicate floors and in public areas without leaving rubber marks on the ground. 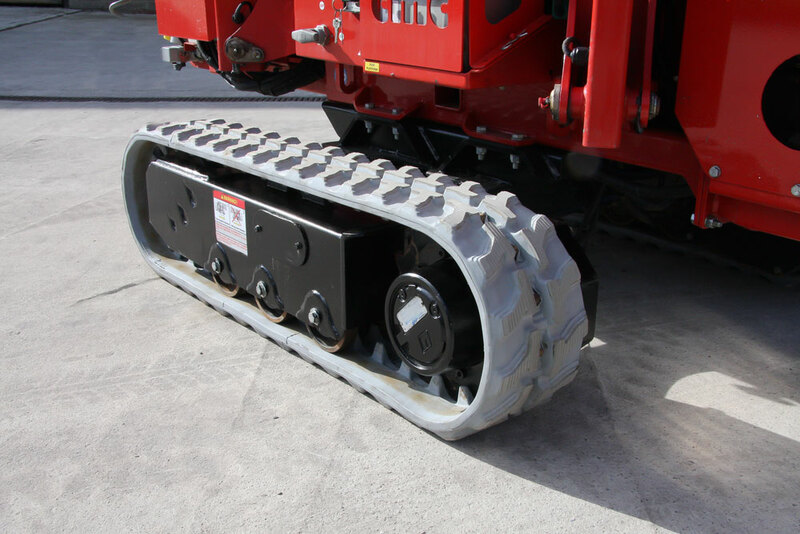 The tracked access platform, or spider lift is very versatile on it’s tracked chassis.